Some action photography for y’all. Caught this little fella the other night whilst walking across a golf course. The little frog wasn’t alone. 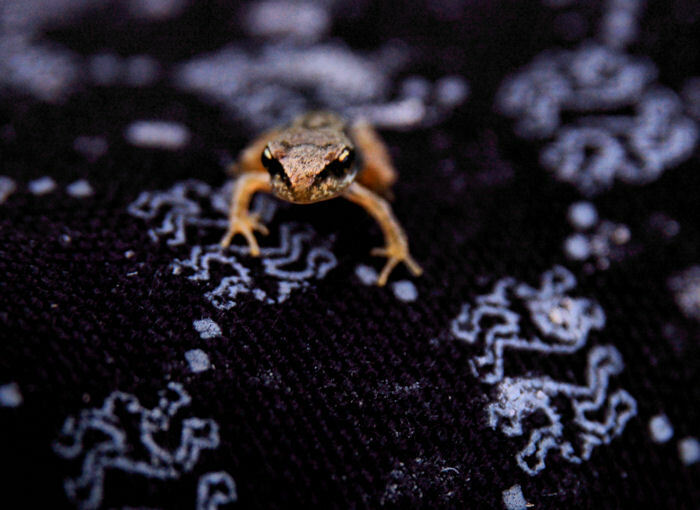 Thousands and thousand of young little frogs were migrating to god knows where. There were so many you couldn’t help but to step on some of them. Sorry to all you crushed frogs.